It has been a hot, humid week in the Ottawa Valley this mid-July. I thought I'd share an excerpt from Chapter 1 so we all could enjoy a refreshing breeze from Georgian Bay. 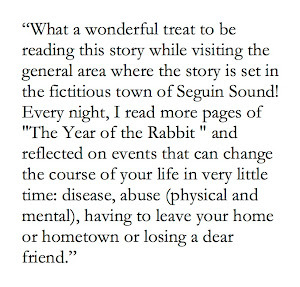 Yes, Seguin Sound is a fictional place. It is very, very similar to 1970s Parry Sound, Ontario. It was an August morning when Father Giovanni Vinoletti found the courage to drive to the Fletcher house. He learned that Matthew had a woodworking job out on the Bay and he really wanted to take this opportunity to spend some time alone with his wife. As he cruised along River Road in his shiny black Lincoln, he smiled gratefully as the refreshing breeze blew through the driver's window. He loosened his collar and reached over to the passenger seat to make sure the bottle of wine was well cushioned in his cardigan. He turned up the volume on the radio to hear the news report on the Woodstock concert from the weekend before. Almost a million young people had travelled to a farmer's field in upstate New York. "I wish I’d been there," he thought. Those youngsters seemed to have so much freedom, and the ability to pick up and go on a whim. He was turning thirty soon and realized that he really hadn’t had that taste for adventure when he was a teenager — not like his brother Roberto. As Gio came to the intersection of River Road and MacDonald, he noticed a black and white police car to his left. Its exterior was covered with a dusty grey film — Likely cruising some of the dry back roads, he thought. Someone had written “wash me” on the rear passenger door. Smoking a cigarette and smiling, Constable Paul Brown let his left arm dangle through the driver’s window. I guess his job must be boring in this small town, Gio concluded, nothing much seems to happen. Brown waved Gio through. Gio smiled and waved back. He was glad that he had been able to convince the diocese to let him use the car his family had donated. He appreciated the reliability of a solid vehicle and the ease with which it could get him around town. Lately, his knees had started to hurt from his increasing weight. He approached the Fletcher property at the foot of Harbour Hill, pulled the large Lincoln into the driveway and turned off the engine. Gio leaned back on the leather seat then promptly corrected his position as he felt the sweat dripping down his large, hairy back. The gold crucifix dangling around his neck reflected the summer sunlight onto the dashboard. He sat with the windows opened and mentally prepared himself for the visit. He had only arrived in Seguin Sound a few weeks ago. It was a refreshing improvement to the inner-city parishes in which he had begun his work. He appreciated the small-town atmosphere, although it was boring, the closeness to nature, the constant, slow movement of the river below, and the refreshing openness of Georgian Bay. Most of the people living here seemed to move at the same relaxed pace. Gio wiped perspiration from his brow, adjusted his black-framed glasses and scanned the property. On his right was the Fletcher home, a large, sturdy green two-storey house with an attached shed. The front lawn was well kept, as were a few patches of irises and tiger lilies. To the left, there were what looked like two garden plots. Leftmost, between their yard and the neighbour’s, were a few small, twisted pine trees growing atop a small knoll. He saw two young redheaded girls and a dark-haired girl climbing, swinging and jumping from the little pines then running to a hammock strung up between one of the trees and the clothesline pole. They seemed to be having a great time. Weren’t they hot?, he thought. Father Gio had already met the redheads after church on Sunday. They were the precocious ten-year-old twins, Dela and Gwen. One of the twins (he could not tell them apart from a distance) seemed preoccupied with burying something in the soil and patting it down with a small spade. Behind her and at the back of their neighbour's property was a pine forest that stretched up the hill and beyond. To the rear was a large flat rock with a fire pit with log benches. Straight ahead, stretching towards the trestle of the high and looming CP Rail bridge, ran a small pathway which led towards another cluster of buildings. Beyond this view was the refreshing Georgian Bay. Near the back of the house was a large tree, a deciduous of some sort, thick with green leaves casting cool shade onto the backyard. The Fletcher property looked pleasant and provided a safe place for children to play. Children. He sighed. Gio placed his hands on the steering wheel, almost in an embrace and bowed his head. He softly repeated words he used seven years ago when confessing to his mentor after his carnal indiscretion. This was different. "Heavenly Father, please give me courage to face this possibility, to accept the facts as they are presented. Please forgive me for my indiscretion so many years ago. One act of weakness... Whatever you will for me, I accept." The scorching reflections from his cross bounced around the interior of the car as he prayed for courage and forgiveness. His heart was pounding in anticipation. Children. A child. What if she is my child? His curiosity had hounded him enough to check the baptism registry at Saint Peter’s church. Her birth date was too coincidental. Why do they spell her name S-e-r-a? Why on the very first Sunday I am serving at this parish do I learn this information? That woman looked so familiar. The one-and-only time I ever had intimate relations with a woman and ... I have to find out if it really is her. I have to solve this mystery. Gio took a deep breath and exhaled slowly, prying his large body out of the car. He stood for a few seconds adjusting his glasses and cross. He fluffed his damp short-sleeved, black dress shirt to cool his round torso, wiped his greasy, black curls back and pushed the straw hat down firmly. He reached in and grabbed the bottle of 1962 Vinoletti Red — his gift to the Fletchers. As soon as Gio closed the car door, the redheads and their friend turned their attention to the driveway and came bounding down to greet him. “Hi, Father Gio!” called Gwen and Dela in unison. At this point, he still didn't know one from the other. They were wearing matching shorts and T-shirts. "We're treasure planting," chirped the other redhead. "Oh, really? What does that mean?" "Oh, we're putting small treasures around the yard so they can be discovered in one hundred years. You know, like they found in Egypt with King Tut? Except, we're not using real gold and jewels, just trinkets." "Ah," Gio nodded and responded politely. He smiled at them and wiped the perspiration from his brow. He looked at the twins one by one. Ah, yes. I think it was Gwen who had the crooked smile and ear. “Girls, are your parents around?”, he asked. “Sure, come on back to the shade,” the girl said as she grabbed his hand and led him past the driveway to a set of lawn chairs under the tree. Amy and the other one ran across the back porch and into the house. “I’ll be right back!” she shouted, already running towards the house. Okay then, he concluded, Gwen is the one with the crooked left ear. At least I've got that straight — as long as they’re not wearing hats! Gio tested the sturdiness of one of the lawn chairs then sat quietly under the tree, enjoying the calm and the gentle breeze. The cicadas buzzed loudly around him, seeming mostly to come from the pine forest. He looked around the immediate area. This seemed to be a favourite spot for the family as he observed the chairs and lounger. A small red object plopped onto his lap. Another bounced off his belly. He picked up one of the small orbs then turned to look up at the tree, squinting into the sunlight radiating through the leaves. Ah, it’s a cherry tree, he concluded, likely one of the Pin Cherry species. I wonder how they are for wine. Gio's family had operated a vineyard in the Tuscany region of Italy for many decades. When he was small, his parents immigrated to Canada to start a vineyard in southern Ontario. Growing up on his family’s land, he had learned quite a bit about grapes, wine and other fruit-bearing trees. He rubbed the small orb in between his large fingers then popped it into his mouth for a taste. Ooh! 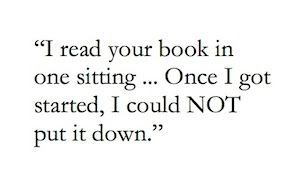 A little sour, he discovered, puckering his face as he leaned over the side of the chair to spit out the pit. As he sat cooling off, he recalled meeting the family after mass last Sunday. Father O’Reilly had introduced him to the entire congregation during mass and again, individually, it seemed, in the reception hall. Gio had shaken hands with many parishioners, husbands, wives and children. The older priest called over Matthew Fletcher whom he referred to as the godsend carpenter who had repaired some of the aging pews. Matthew was a muscular, tanned man with rough hands and gentle, blue eyes. Shaking his hand, Gio had felt a warm connection with him. Matthew gestured over to some people at the other side of the crowded hall to call them over. Two redheaded girls of the same age clung to a woman's side while they mischievously stared at the new priest. “Father Gio,” he said, “I would like to introduce my wife and a couple of our children.” He pulled closer to his side a small, attractive woman with reddish-brown hair and vivid green eyes whose face became clearer as she raised it to meet his gaze. “Georgette!” burst out Gio. His knees nearly gave in and he felt the blood leaving his face. His mind flashed with memories of a beautiful woman, sweet desserts and a winter’s night of passion. “Oh, ohhh. So sorry. Mea Culpa. Nice to meet you, Marie,” fumbled Gio with a prolonged handshake. “You look very much like someone I knew years ago...” Her hands felt so soft and cool. He didn't want to let go. Gio stuttered, “Uh, err, I'm not sure. It was long ago.” He grimaced awkwardly at the girls, then Marie. He could feel the perspiration trickling down his back and into the crack of his buttocks. “I want to be an altar girl,” said Dela. The grown-ups laughed nervously at this young girl’s bold statement. The rest of the conversation was polite with O’Reilly praising Matthew for the work he did for the church. Gio only remembered smiling and nodding, while gazing a few times at Marie. He was damn certain that she was the woman he had known intimately as Georgette seven years ago. She smiled and added politely to the conversation, avoiding eye contact with him. Gio’s heart jumped a beat. A wee girl? Another child? A train whistle interrupted his reverie. The girls came skipping out of the house; Gwen, though, approached carefully with his drink with a theatrical expression. She handed it to him and offered her crooked smile. “Here you go, Father Gio,” she curtseyed, "I even added a little more sugar for you." The trio of girls ran back up the little slope to the pine trees. Gio felt another cherry bounce off his head. Another bounced off his belly and into his glass. It felt as if a force greater than gravity was aiding in their delivery. He adjusted his eyeglasses in preparation for a closer inspection of the tree. His peripheral vision caught movement: a woman’s form approaching from the house. She was walking slowly, holding a tea towel and a glass of lemonade. She wore a light green summer dress. As she came closer, he recognized that walk. Those hips. As she came nearer, he was certain by that smile and those green eyes, this was the woman he once knew as Georgette. “Hello, Father Gio,” She smiled nervously. “Hello… Marie,” he responded, raising his glass while struggling to rise from the chair. He reached down beside his chair to retrieve the wine bottle he brought. "A gift from my family's vineyards." "Thank you," smiled Marie as she accepted the bottle and put it on her lap as she sat in the other chair. A cherry bounced forcefully off his head. Another plopped into his glass. As he looked up to see the source, he heard the train approaching, its horn blowing louder and more frequently as it approached the bridge. The train rattled through the forest on the hill and onto the bridge, three diesel engines were pulling a trail of cargo cars and wheels clack-clacking over the rails above them. It blew its horn again and rolled on towards the other side of the valley, dragging an assortment of boxcars, tank cars and flats in an endless stream behind it. Gio looked at the train and winced at the noise. Marie gave him a look of embarrassed apology then moved closer under the tree. In the middle of the noise and commotion, they observed two bare feet then legs extend down from one of the limbs. Gingerly, a small blonde girl in blue shorts and T-shirt, hung from a low branch, then dropped to the soft grass below. Gio’s heart was pounding. Could this be? No, she’s so fair and has dark blue eyes. She looked like an angel with her fine blonde hair, messed up and decorated with twigs. She had a peaches-and-cream complexion with rosy cheeks and a small brown freckle under her right eye. “Is this Sera?” he shouted nervously over the noise from the train. Victoria smiled and waved at them then held out her arms upwards to the tree. Down into her arms dropped a stuffed rabbit, which she kissed on the nose and put on Marie’s chair. Then she ran back and held out her arms again, catching a golden-brown teddy bear. It received a kiss on the nose as well. By this time, the train had left. Its horn sounded in the distance, as it approached another level crossing. The air was finally quiet with only a light breeze rustling the leaves, the Chickadees and the distant calls of Blue Jays. Gio’s curiosity was peaked. He put his lemonade glass gently beside his chair, shuffled closer to look under the tree limbs, up into the green canopy. Down from one of the branches dangled two dirty bare feet, as another small girl hung from a limb. New! September 2011: Buy the Ebook from Smashwords or download 20% of the novel for free. A wonderful introduction to a priest's conlfict as a human being. What next? Very good, very readable. You paint a vivid word picture of Father Gio, fat, feeling the heat, conscience troubling him. One tiny glitch. Tuscany was/is a proud principality; no Tuscan would ever refer to her or his homeland as a 'region' - it's Tuscany, a country, the loveliest part of Italy, home of great wines, great art, rich history. Thank you, John. 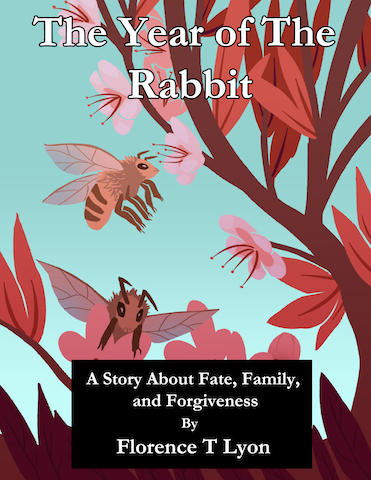 I will make sure that correction is made in the second print edition, due to come out by 2023 ;o) Thank you for making the effort to purchase and download the ebook AND taking the time to read this bittersweet story.